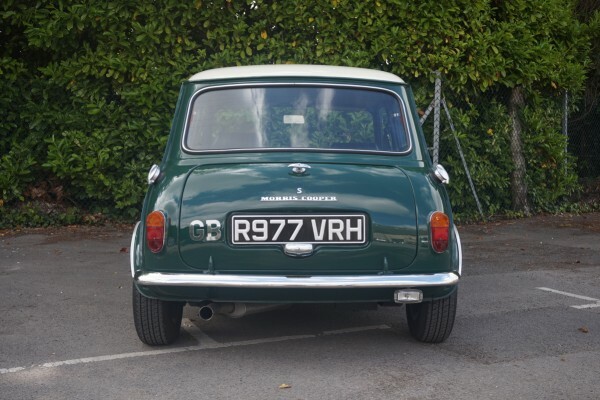 Marcos Mini Cooper S 1997. 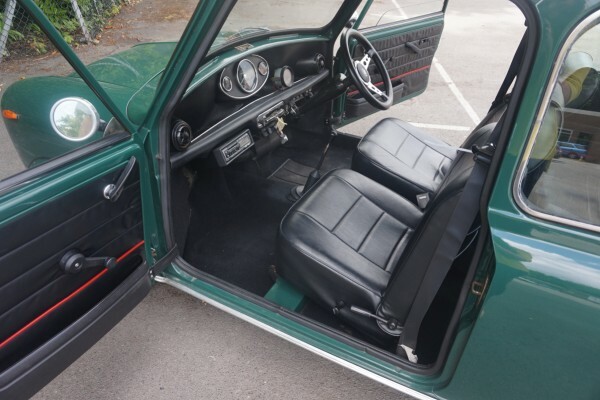 Very rare RHD recreation of a sixties Mini Cooper S. Built by Marcos Sales LTD in Bradford on Avon (limited production run of 100) in conjunction with Checker Motors of Tokyo, Japan. 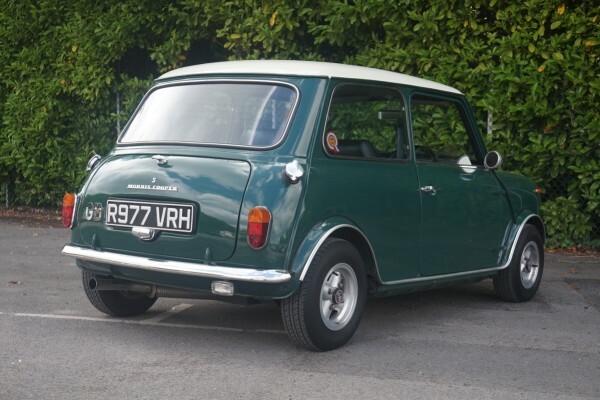 The idea was to transform the 100 brand new basic Minis to not only look like the original Cooper S but to achieve the performance as well. 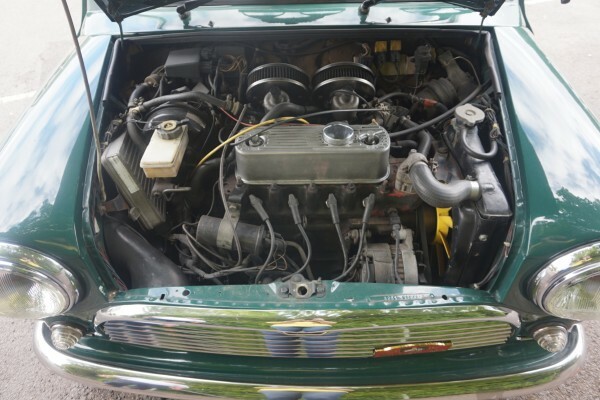 Richard Longman (of racing mini preparation fame) was commissioned to produce the engines. 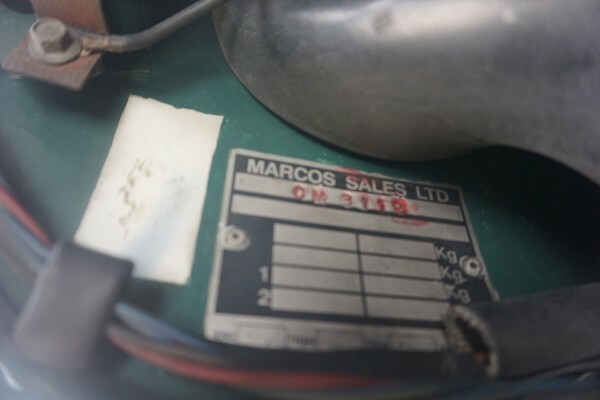 The result was a 1300cc tuned engine with twin H4 1.5″ carburettors on gas flowed inlet Maniflow manifold (twin box exhaust system) machined to give a CR of 10:2:1. 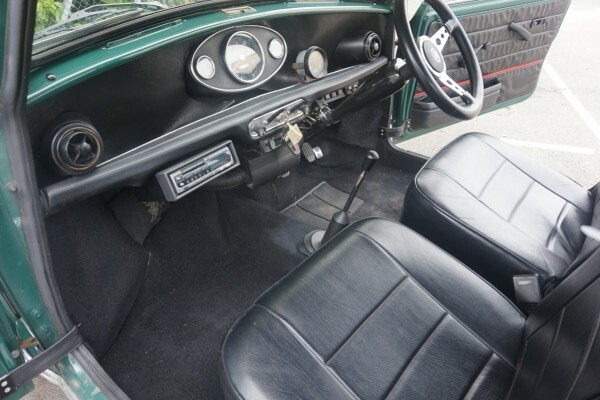 0-60 in 8.2 seconds and a top speed of 100+ mph. 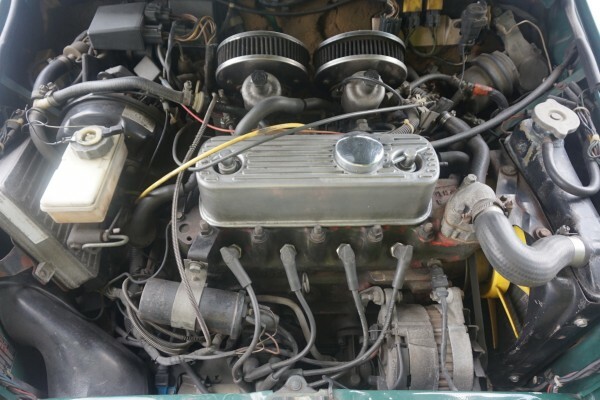 Kent 285 camshaft, modified cylinder head with larger valves and chrome Kand N filters and a performance exhaust system. 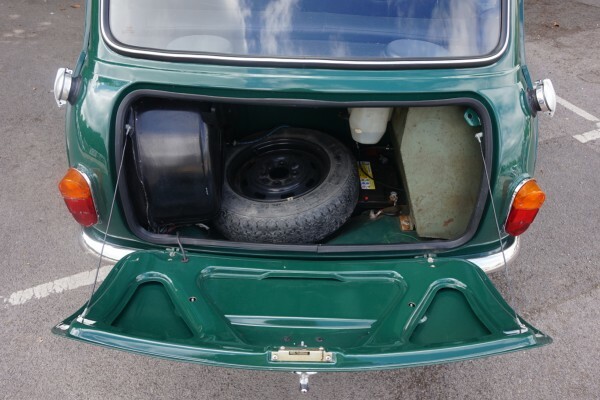 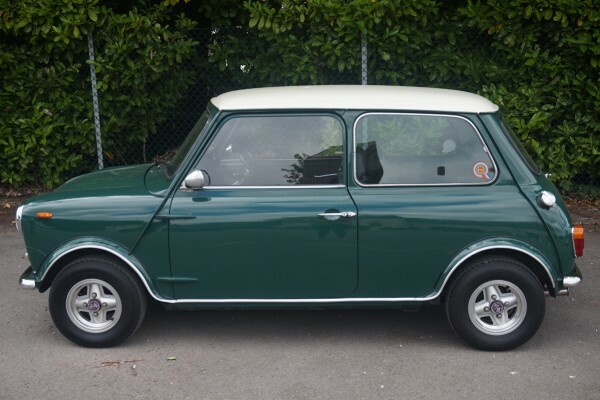 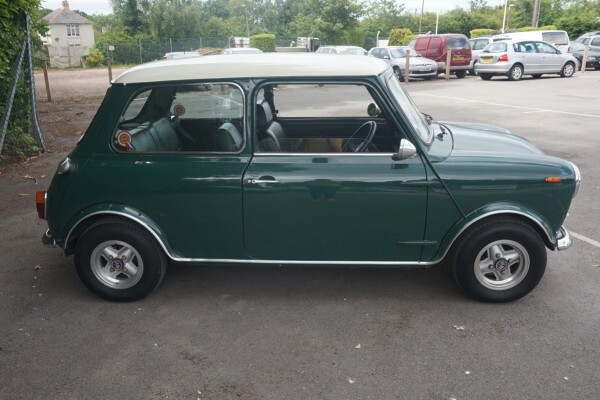 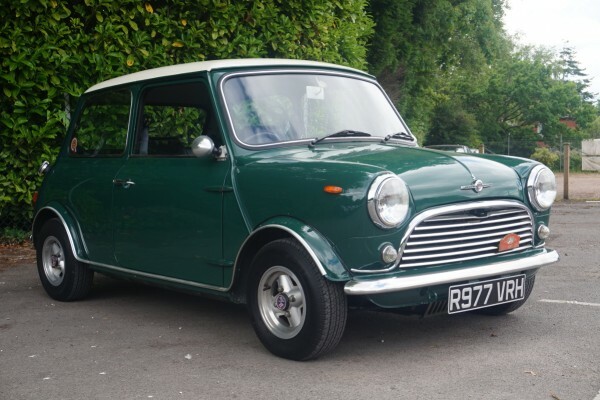 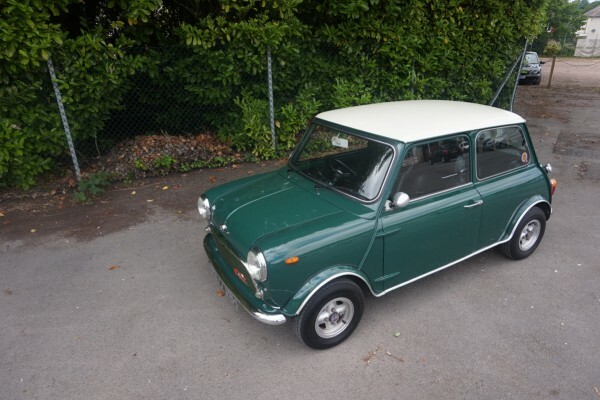 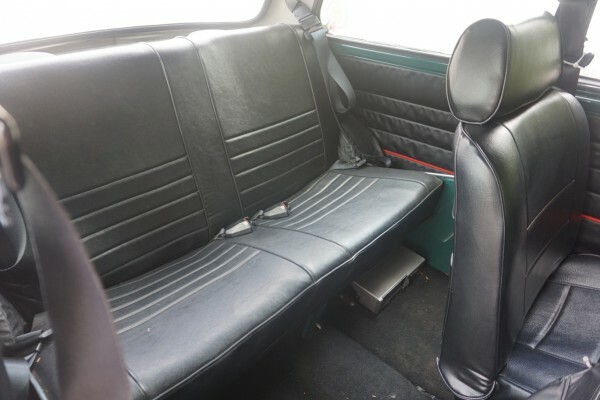 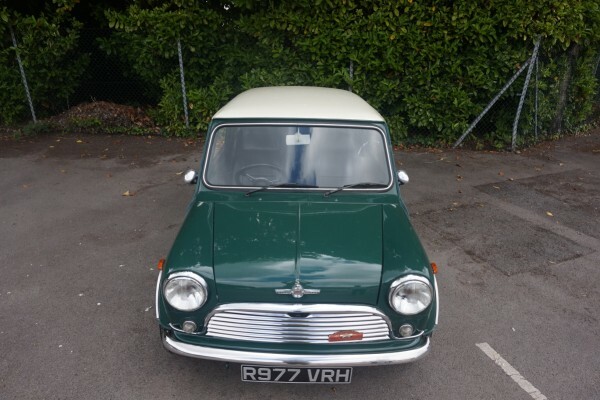 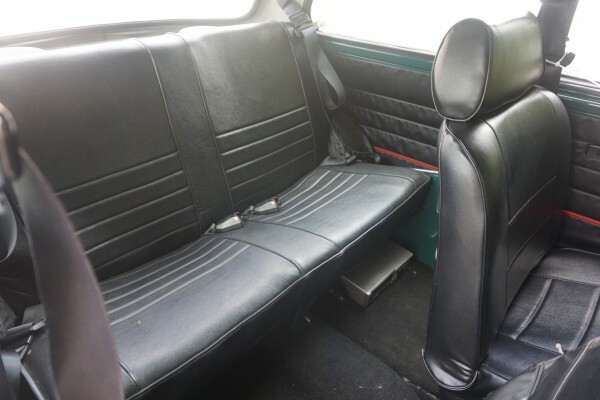 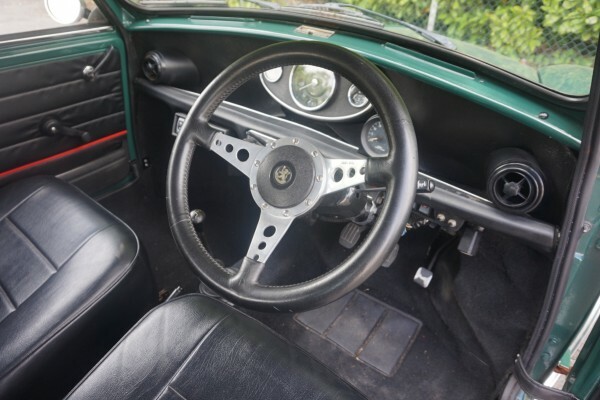 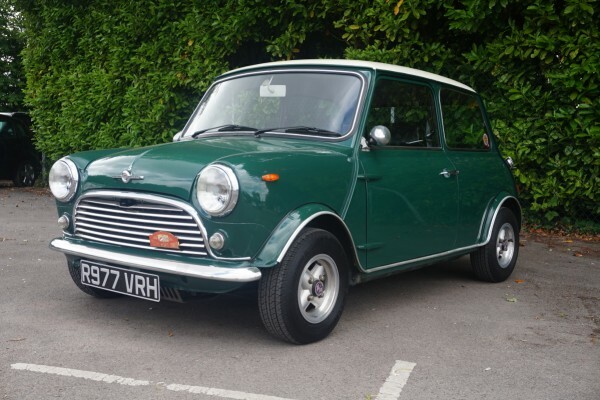 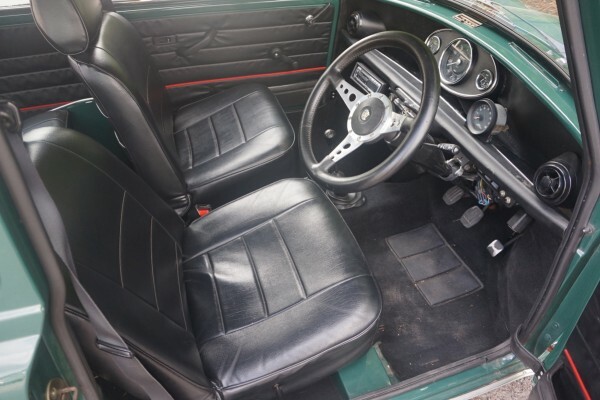 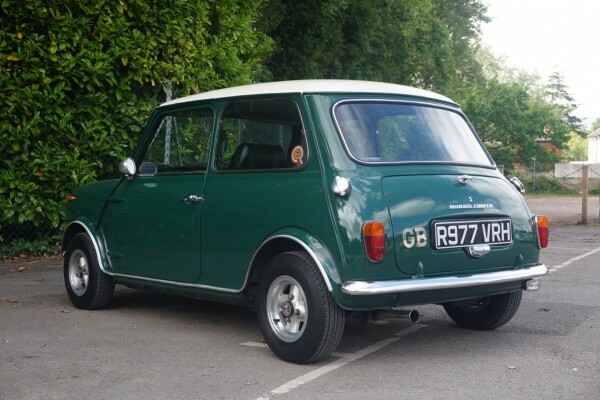 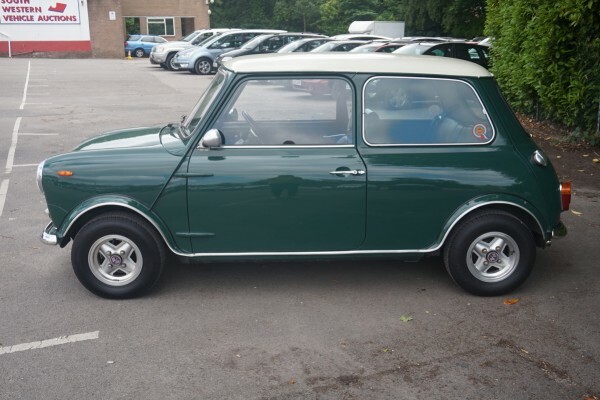 Green with a white roof and four spoke revolution alloys ,60 s chrome grille, period door mirrors, twin petrol tanks with Monza caps, 145 kph centrally mounted speedometer with rev counter, period seats , Moto Lita steering wheel, period rear lamps and numberplate holder , Cooper S badging. 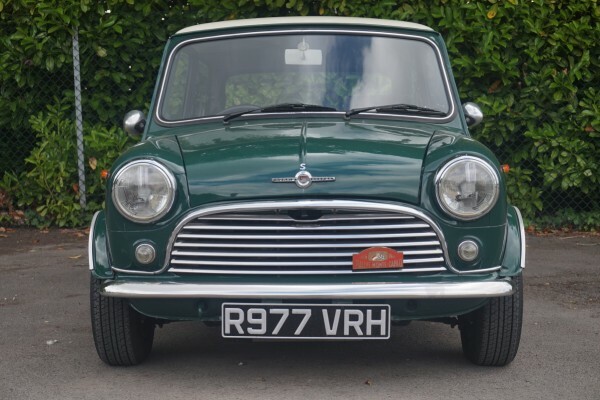 This car has covered just 18,000 kms (11,000 miles) from new and is in beautiful condition with 1 owner in Japan and 1 UK owner from new.